Israelis - including those in the settlements - use three times as much water a day in their households as West Bank Palestinians do, according to figures provided by Palestinians and aid organizations. That is just one aspect of the large discrepancy between Israelis and Palestinians in access, development and use of water resources -- a discrepancy that has only increased since the signing of the Oslo Accords. Leggi tutto: Just how much do Palestinians rely on Israel for water? a quota of 200 adult Gazans permitted to leave for prayers at Jerusalem’s Al-Aqsa Mosque, and then return, was set last October. 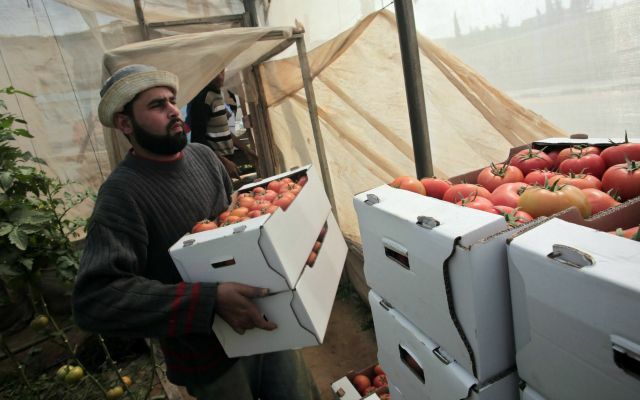 In addition, for the first time since 2007, tomatoes and eggplants were permitted to be exported from Gaza and sold in Israeli markets. Was it because of the Jewish shmita (when land lies fallow for a year), or because of dire warnings from the World Bank and International Monetary Fund about the deteriorating Gazan economy? It does not matter. What matters is that the tomatoes and eggplants left last week on two trucks, 25 tons of produce on each. How extraordinary. Israelis have come to expect another war by the summer. A third of their children, nearly a million, live in poverty, many of them going hungry. A health care system which was once a source of national pride, has been neglected into collapse. Israel is a nation which has been instructed by its leader to expect nothing, change nothing, roll over and play dead. Haifa, 12 marzo 2015, Nena News – Nei comizi elettorali, nei dibattiti televisivi e nelle interviste, il ministro degli esteri Avigdor Lieberman, leader del partito di estrema destra Yisrael Beitenu, descrive gli arabo israeliani, i palestinesi con cittadinanza israeliana, come «terroristi» da cacciare via, da «cedere» all’Anp di Abu Mazen. E negli ultimi anni ha promosso leggi discriminatorie e punitive contro questo 20% della popolazione israeliana. Ha anche ottenuto l’innalzamento della soglia di sbarramento per l’ingresso alla Knesset dal 2 al 3,25%, allo scopo proprio di cancellare la presenza araba in Parlamento. 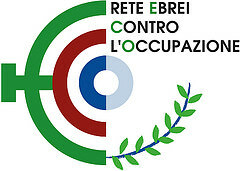 Il risultato è stato opposto. I partiti arabi hanno reagito dando vita alla Lista Unita che, secondo gli ultimi sondaggi, otterrà al voto del 17 marzo tra i 12 e i 13 seggi e diventerà il terzo o quarto gruppo parlamentare.